While many people travel the world to sample its distinctive cuisine; several of us need only travel as far as our own kitchens to taste the different flavors of far off lands. 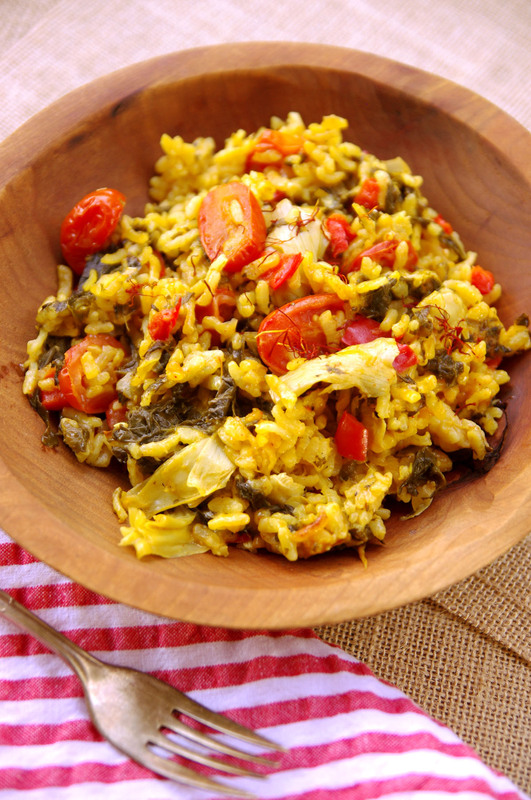 Because we don’t have any trips to Spain booked, we made our own take on Spanish paella that was fit for company and our Louisiana-born taste buds. Paella originated in the early 1800s in the Valencia region of Spain. 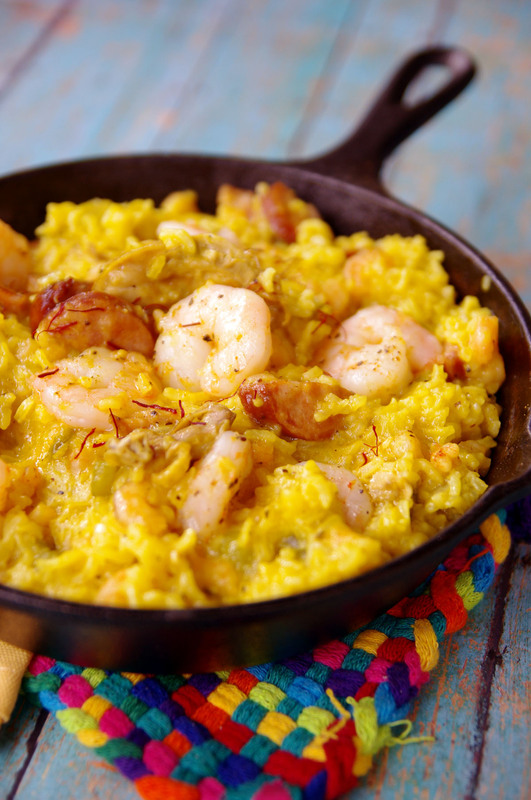 Traditionally, paella is saffron-infused rice cooked with a variety of meats, seafood and vegetables. The most traditional recipe is paella valenciana, which is made with chicken, rabbit, snails, broad green beans, white beans and tomatoes. But much like Louisiana jambalaya, countess variations to this dish exist. You can make an all-seafood paella, one with chorizo sausage or a vegetarian version – the possibilities are endless! Read more in our March/April issue at www.citysocial.com or pick up a free copy on stands around town. Bring water to a boil in small saucepan. Add saffron, cover and remove from heat. Let stand 10 minutes. Heat olive oil in heavy large skillet or flat-bottomed pan over medium heat. Add bell pepper, onion and garlic. Sauté until onion is clear and peppers are tender, about 10 minutes. Stir in rice until coated with oil. Stir in saffron water, artichokes, stock, kale, tomatoes and seasoning. Bring to boil, stirring frequently. Reduce heat to medium-low. Cover and cook 20 minutes until liquid is absorbed and rice is tender. Remove from heat. Let stand 5 minutes and serve. Bring water to a boil in small saucepan. Add saffron, cover and remove from heat. Let stand 10 minutes. In a large skillet with a lid, brown the onion, pepper, garlic and sausage in the oil until the onions are clear, about 10 minutes. Add the rice and saffron water and stir to coat. Stir in the broth. Bring to a boil. Reduce heat to medium, cover and simmer until most of the liquid is absorbed, about 10 minutes. Fold in the shrimp, oysters and seasonings. Cover and continue cooking until the shrimp are pink, 5 to 7 minutes. Serve warm in the pot or pan. Slice the lemon, lime, grapefruit and orange into thin rounds. 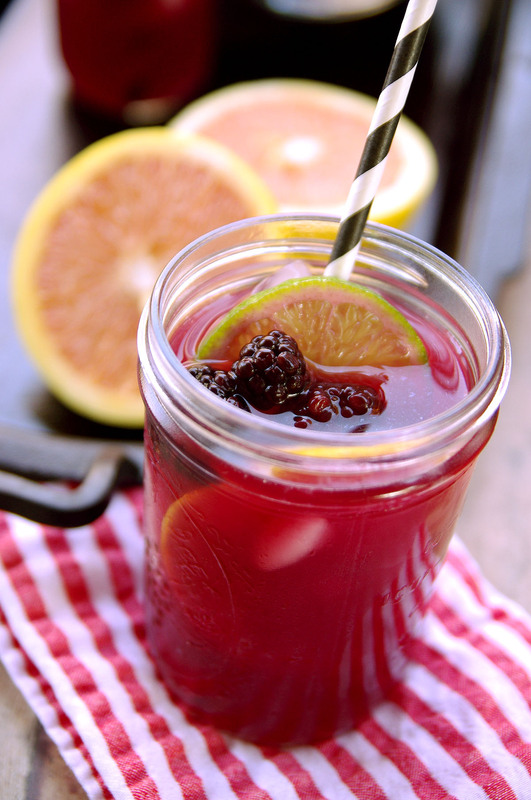 Place the slices and blackberries in a large glass pitcher. Pour in the rum and sugar. Stir in the wine and grapefruit juice. Chill in refrigerator for 2 hours to develop the flavors. When ready to serve, crush the fruit lightly with a wooden spoon. Adjust sweetness to taste.